Starting from a stunning coastline that’s dotted with gorgeous beaches, Sardinia has everything on offer that anyone can ever ask from a Mediterranean holiday, but almost everyone who has been to the island will recommend a campervan rental Sardinia, even before you have started out on your adventures. If you are wondering if you really need a campervan, or if you are better off with booking a hotel room, here are the most valid reasons as to why renting a camper is just a better way to explore the many attractions of Sardinia. The island is not just campervan-friendly, the roads, routes and the major attractions are made with the campervans in mind. This means that you will be able to drive through any road and find a place to park your campervan in pretty much every place that you visit in Sardinia. There is often a bit of distance between the various attractions on the island and having a campervan makes it easier and faster to cover them. 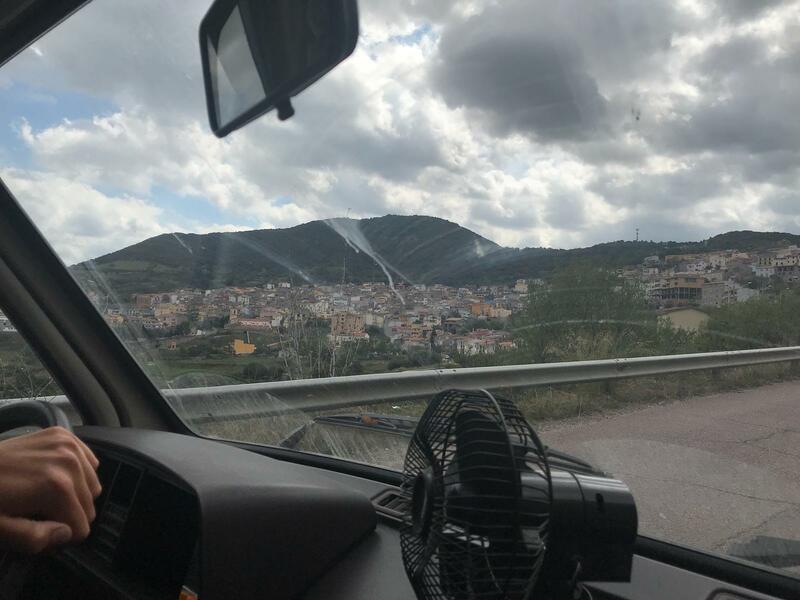 For example, drive to Muravera from Cagliari in little more than an hour or so in your camper and stop at the Bellavista Camper Service to rest up and restock, before setting off again to your next destination. What a lot of people coming on the island for the first time don’t realise is the obvious but often neglected fact that Sardinia is quite a big place (24,090 km²) and as long as someone is planning to properly see all the premier attractions in Sardinia, the trip cannot be shorter than twenty days, if not much longer. Therefore, in order to make the most of your time (even if you don’t have twenty days), campervans are the best option because they can save hours every day, and by the end of the trip, you will probably have added a few extra days of travelling and sightseeing to your holiday. For example, the Sardinian mountains are an excellent place to camp and explore, but with a campervan, camping parties can save a great deal of time that would otherwise be wasted in building and removing camp at every location. Even if you don’t go camping in the remote areas and stay close to the developed sections on the island, just imagine how much more time it would take for you to go back to your hotel every night after seeing the sites. When you are in a vintage campervan, however, you are basically moving around in your own hotel room, ready to stop and go, whenever you need it to. Aside from all that, as mentioned earlier, Sardinia was made to be explored via campervans, so it’s actually easier to find an RV park than a vacant tent pitch at campsites. Not that the option isn’t there, it’s just that it is so much easier and faster when you opt for Camper rental Sardinia instead. Just consider the fact that when a visitor opts for a campervan hire Sardinia, they don’t have to pay for accommodation at a fancy hotel, without sacrificing too many of the comforts. 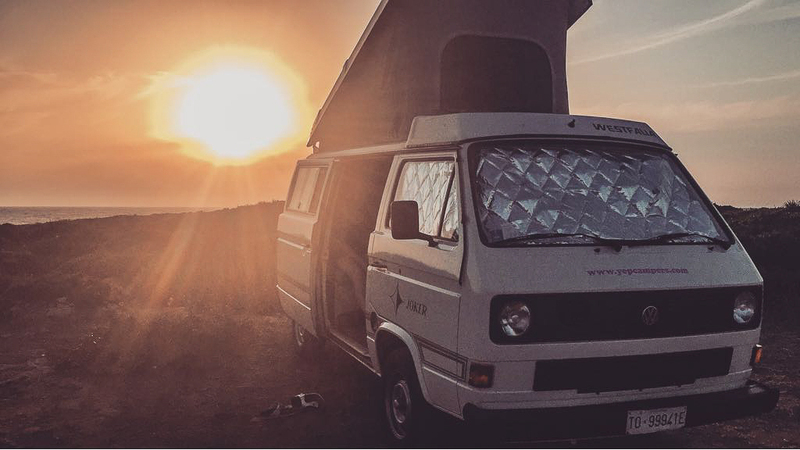 Yep Campers is the premier name when it comes to Camper hire Sardinia and they have the original Westfalia campervans available for hire at reasonable rates, provided you promise to take good care of these classic, luxurious RVs from the 1980s! As these classic campers are not just deluxe vehicles for their historical value, but fully functional motorhomes campervans that come equipped with every facility that you would expect from a well-stocked home, it makes travelling lighter a legitimately feasible option. Some of the common facilities that you can expect from these beauties are as follows. These, alongside a bunch of other precious facilities (which will vary a bit, depending on the model of the campervan) essentially allows travellers to pack less luggage when coming on the island. In other words, if you want to travel lighter without sacrificing on comfort, a classic RV from Yep Campers is naturally going to be the best possible option. Not to mention, you will be saving luggage money on your flights as you travel to and from the island. Use the extra space to take back some unique souvenirs from Sardinia instead to keep the memories fresh forever. Whether you want to see the tiny Giara horses or the gothic town of Alghero, a campervan is going to let you experience them all in the way you want. Instead of spending the majority of your time looking through a hotel window that offers a single, unchanging view, the van will let you use every minute of your travel to experience the island’s marvellous and breathtaking vistas in any way you want when you want. One can even say that travelling across Sardinia in a campervan almost doubles the length of your holiday and gives you the freedom that just isn’t possible to experience while staying in a hotel. Do you want to leave in the middle of the night to enjoy a walk near the Palau harbour with your significant other? Just start your van and drive to the village! If you are someone who likes some companionship while travelling, hiring a campervan is just about the best way to travel in Sardinia because there is no shortage of fellow campers on the island. Every RV site will have quite a few travellers almost all the time, especially during summer. Whether you need assistance or just some human contact, that’s not going to be a problem when you travel in a campervan. You will never really be alone unless you want to be; in which case, all you need to do is drive away and park in a more secluded location where you can enjoy the beauties of the Mediterranean paradise in peace. A well-equipped campervan will inevitably provide better shelter than any temporary tent possibly can, especially if and when the weather isn’t on your side. Short of being stuck in a hotel room, campervans are the best way to enjoy nature, without sacrificing the necessary comforts of being in an actual hotel room.